When you get to the point where you need to choose flooring for your new home or remodeling project, you may be tempted to avoid laminate flooring. 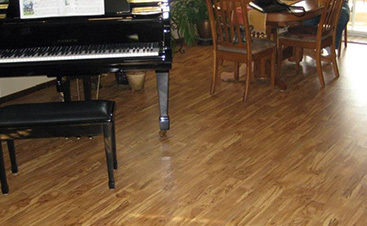 Historically, laminate has gotten a bad rap being inexpensive and looking cheap. You may be surprised by your options, however, if you haven’t shopped for flooring recently. 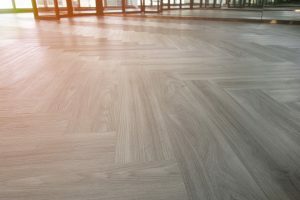 Big advances have been made in the design, printing, and manufacturing process, and now laminate flooring is an increasingly popular choice for beauty on a budget. Keep reading to learn more about the advantages of laminate and visit Gateway Design & Home Center in Loveland for personalized advice! Get the flooring you want faster and for a better price with help from Gateway Design & Home Center. We are here to help you complete your project on time and under budget, whether that means helping you choose the right flooring type or letting our dedicated installation team implement your vision quickly and with care. To explore all your flooring options, visit our showroom in Loveland or call to schedule a one-on-one consultation! Laminate flooring has come a long way since its invention in the 70s. If you’re picturing shoddy, plastic-looking floorboards, it’s time to update that picture. As we covered in our previous blog post, laminate floors are made with several layers of material, and the layer you see is actually a printed image or picture protected under a wear layer. Your laminate flooring can look like whatever you imagine, but in most cases, homeowners choose an image of hardwood or stone. They use a real image to create the laminate, which means your floors will look like real wood or stone. Even experts agree that it’s hard to tell what is solid hardwood and what is laminate just by looking at it, thanks to new innovations. Want something a little more unique than hardwood or stone? Laminate flooring is made to please, with a wide selection of styles, colors, and patterns. Its versatility means that you are bound to find something that fits the interior design of your home. 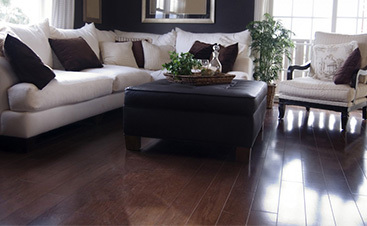 One of the top advantages of laminate flooring is that it offers the look you want without a big price tag. For example, real stone and hardwood can be expensive, but laminate flooring can replicate the appearance of those materials for less. With so many options of laminate flooring on the market, you’re sure to find something within your price range. You also have the opportunity to save on other costs like labor, thanks to the easy installation process. 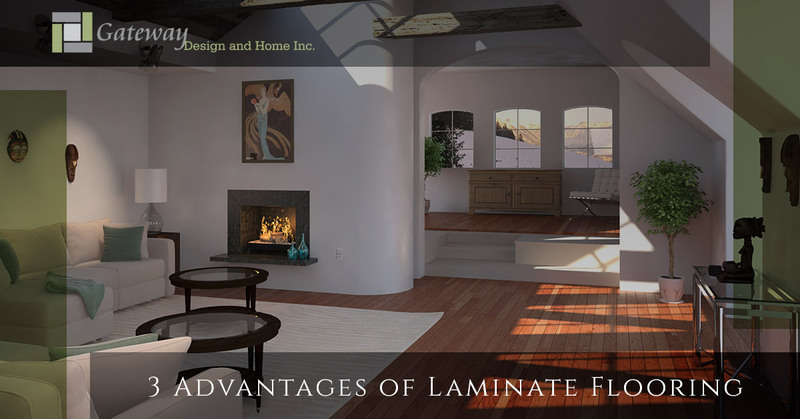 Another popular advantage of laminate is its resistance to wear and tear. Laminate boards are made in layers, and the top layer is a clear, hard resin coat designed to endure a lot of abuse. Laminate flooring is impervious to scratches and dents, which makes it a great choice for families with pets or fans of high heels. If you’re choosing new flooring for a high-traffic area, laminate is a stellar choice. The wear layer also protects the image underneath from fading or damage, so your floors will look great for years to come. Laminate flooring has far too many positive features to discuss in one blog post, so look for a part two of this series to learn about all the great advantages that come with laminate. It can be the perfect choice for your home, and the team here at Gateway Design & Home Center is ready to help you make that choice. Stop by our showroom in Loveland to explore all your options and get advice tailored to your project with a one-on-one consultation. Call us today to learn more!